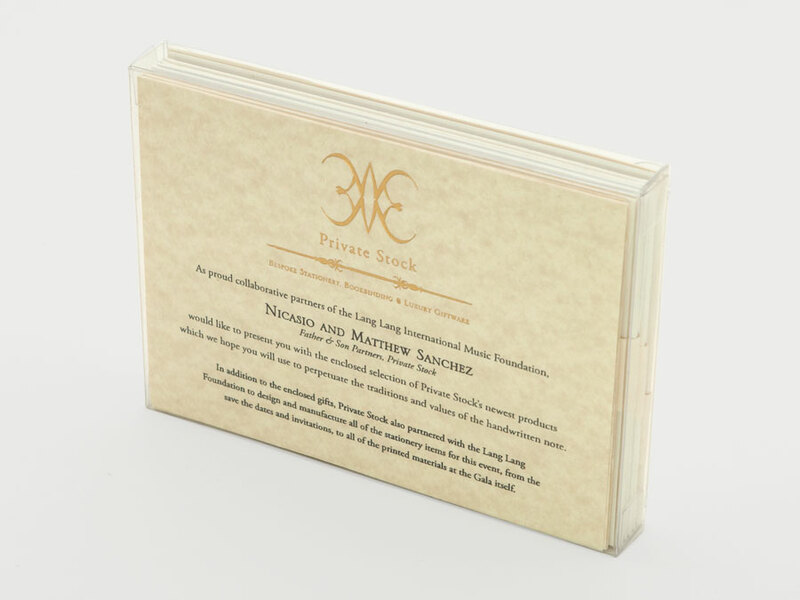 Private Stock designed and manufactured a luxury gift box to be given to the attendees of the Lang Lang International Music Foundation’s 10th Anniversary Gala Concert Dinner, which took place on October 10th, 2018 at Cipriani 25 Broadway in New York City. 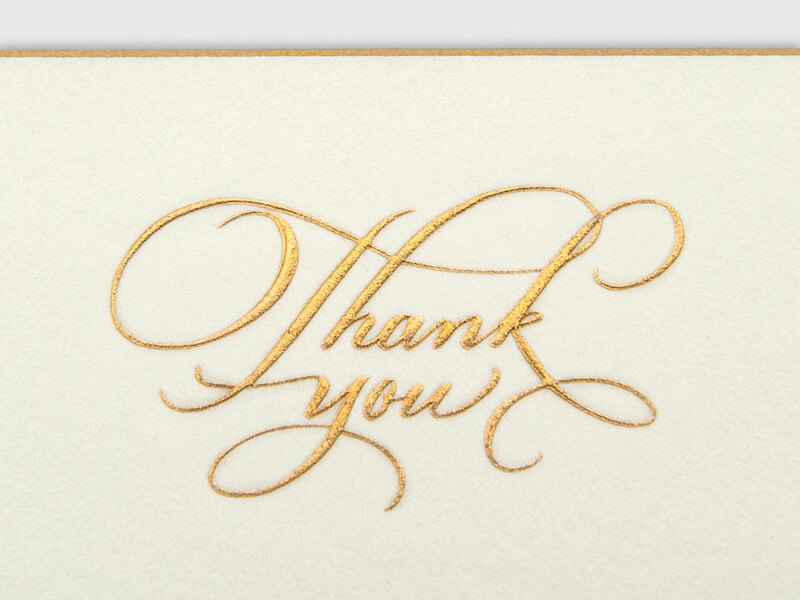 Due to the generosity of these patrons of the arts, The Lang Lang Foundation raised more than 1.6 million dollars, funding the organization’s efforts to educate, inspire, and motivate the next generation of music lovers and performers. 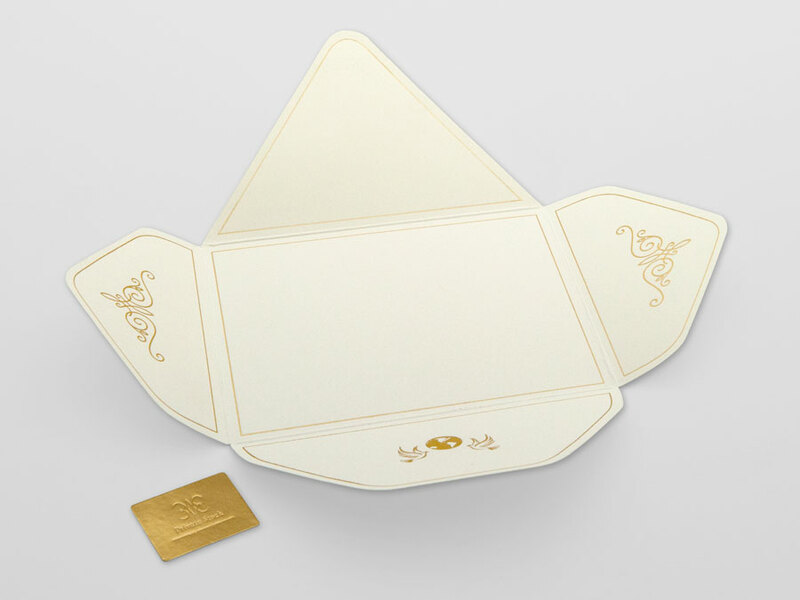 A6 size crystal clear box donated by Clearbags. 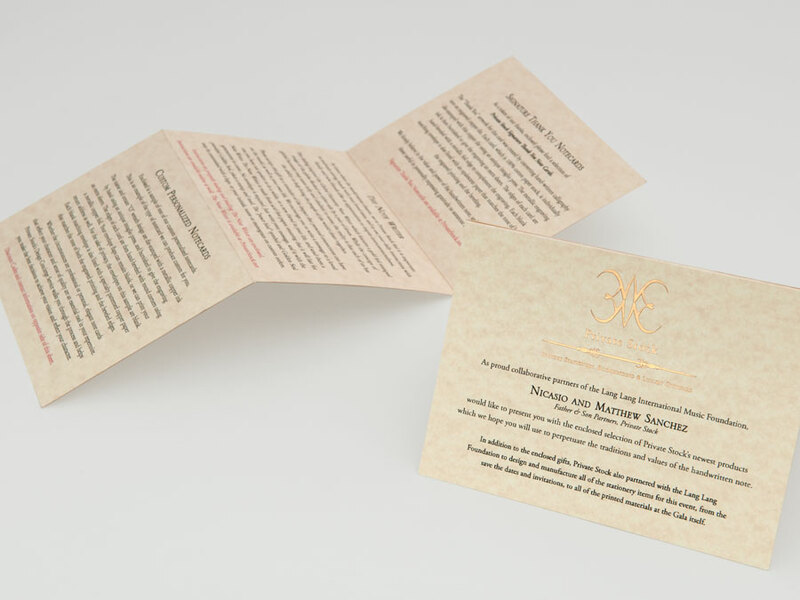 A6 size informational trifold printed digitally and foil stamped with antique gold on Mohawk Skytone Natural 80# Cover, donated by Legion Paper and Mohawk Paper. 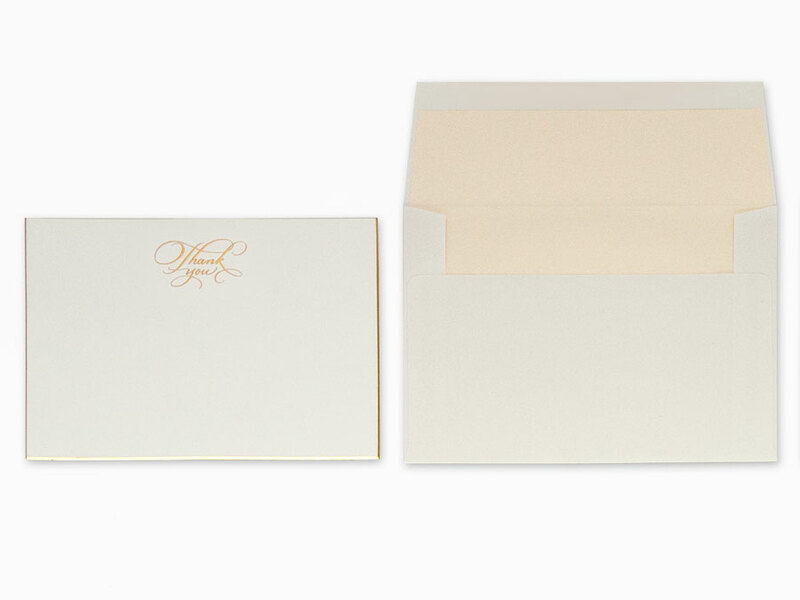 (1) Sample of a Custom Personalized Notecard we manufactured for the one and only Oprah Winfrey. 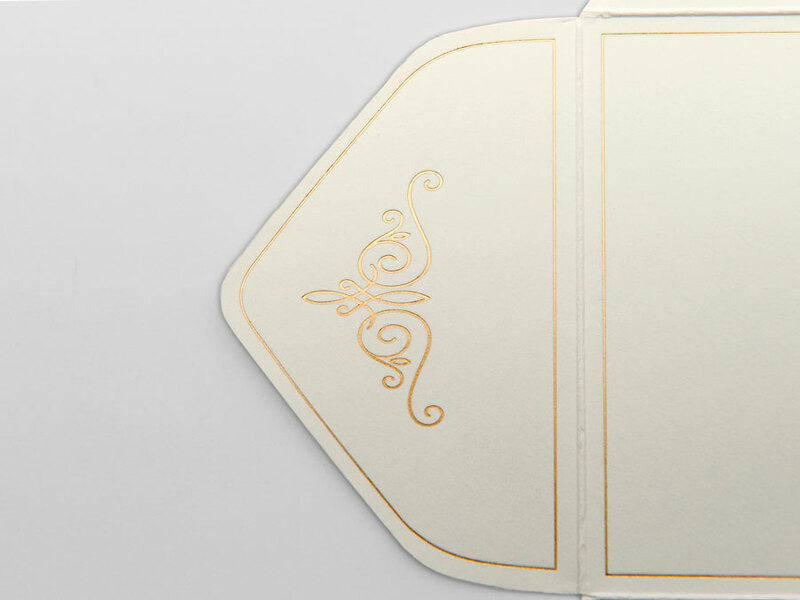 This card was engraved and burnished with metallic copper ink, with beveled edges and round corners and finished with metallic copper edge foil gilding on Strathmore Impress 100% Cotton 236# Cover in Soft White, donated by Legion Paper and Mohawk Paper. 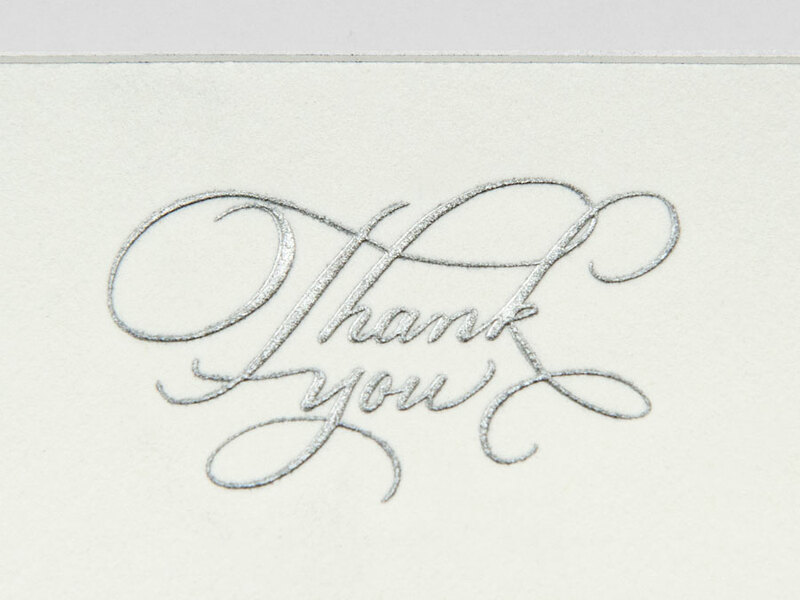 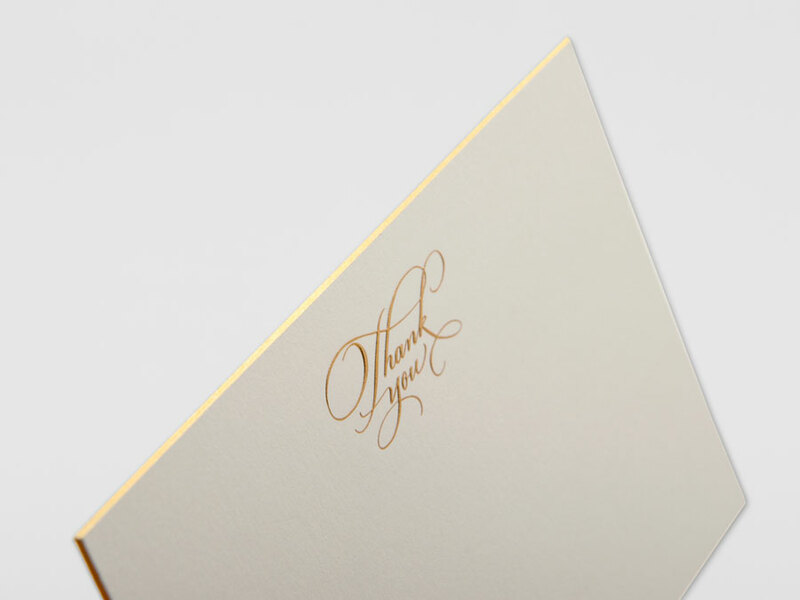 (4, 2 gold, 2 silver) Private Stock Signature “Thank You” Notecards engraved and burnished in metallic silver and metallic gold ink, with beveled edges and square corners and finished with metallic foil edge gilding on Strathmore Impress 100% Cotton 236# Cover in Soft White and Ultimate White. 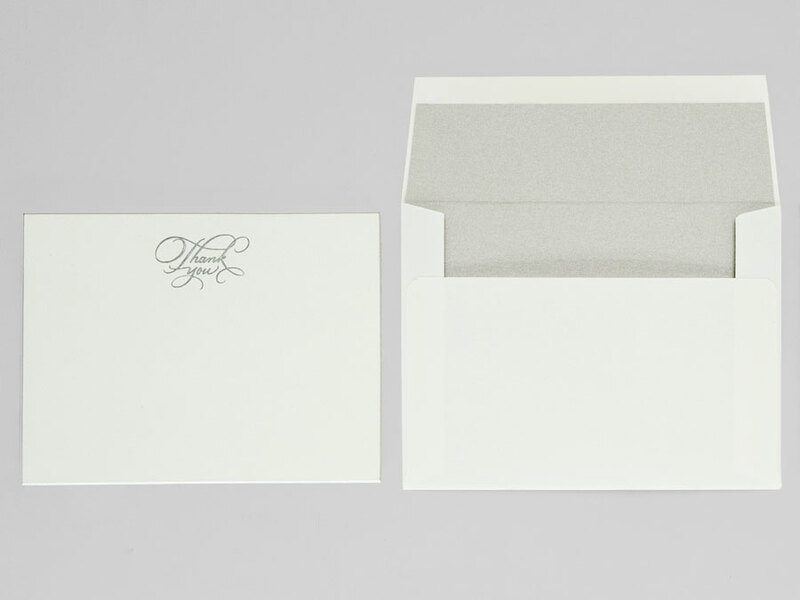 Matching blank Strathmore Premium Wove A6 envelopes lined with Curious Metallics 80# Text Ice Gold and Lustre, donated by Legion Paper and Mohawk Paper. 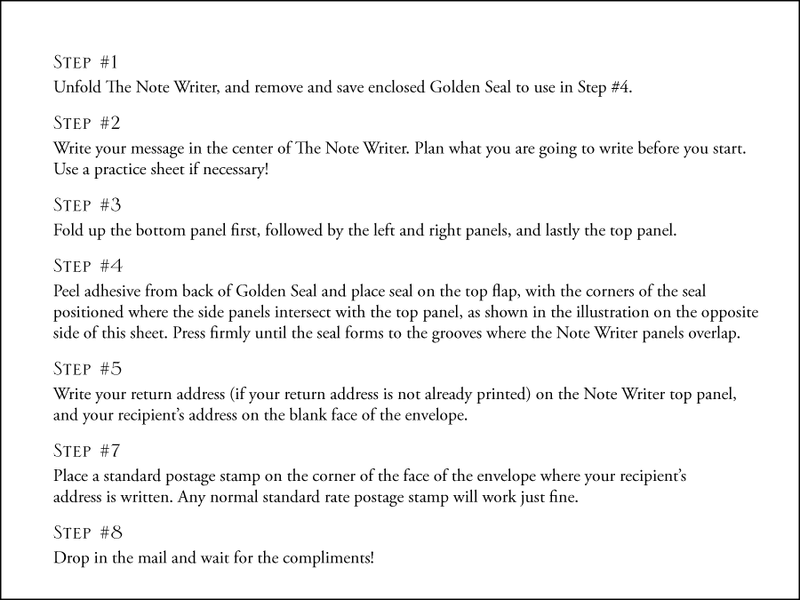 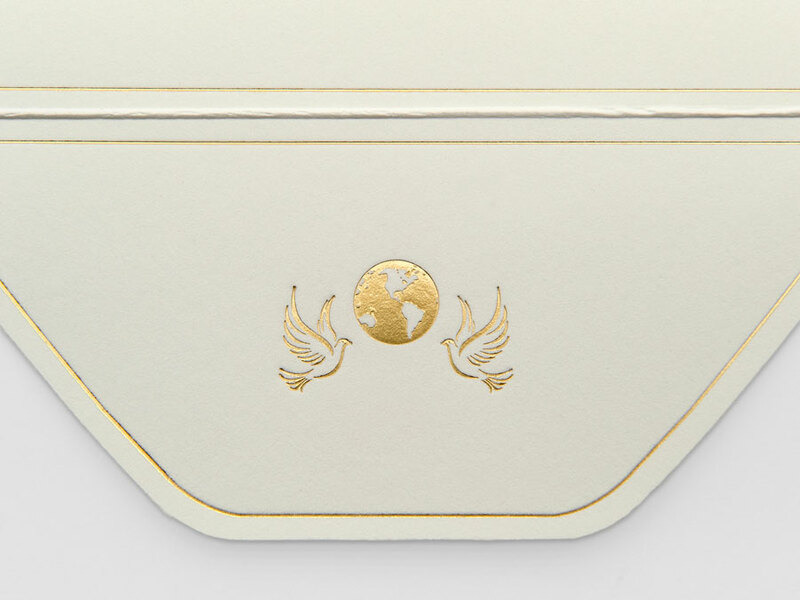 (2) Private Stock Global Harmony Note Writer foil stamped in satin gold with included Golden Seals, diecut from Strathmore Impress 100% Cotton 118# Cover in Soft White, donated by Legion Paper and Mohawk Paper. 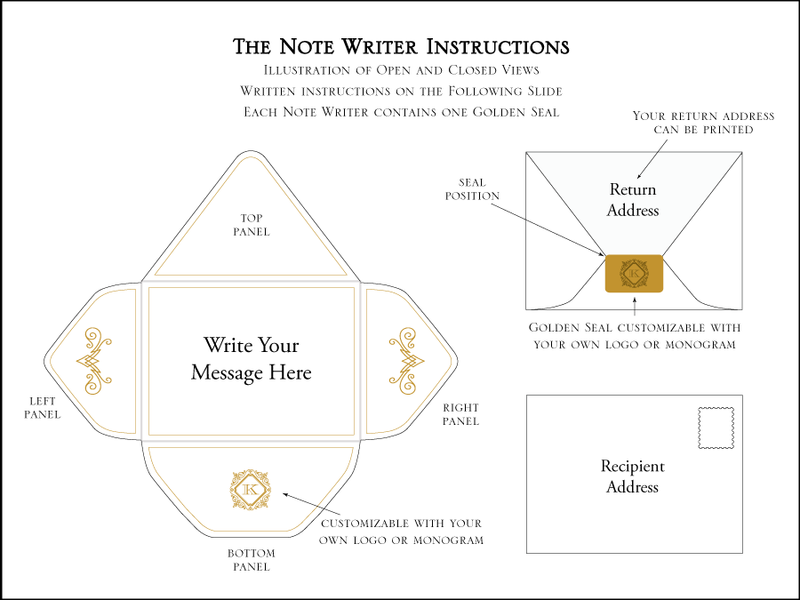 Keep your eyes peeled for our next post, where we will be announcing our Lang Lang Notecard Contest! 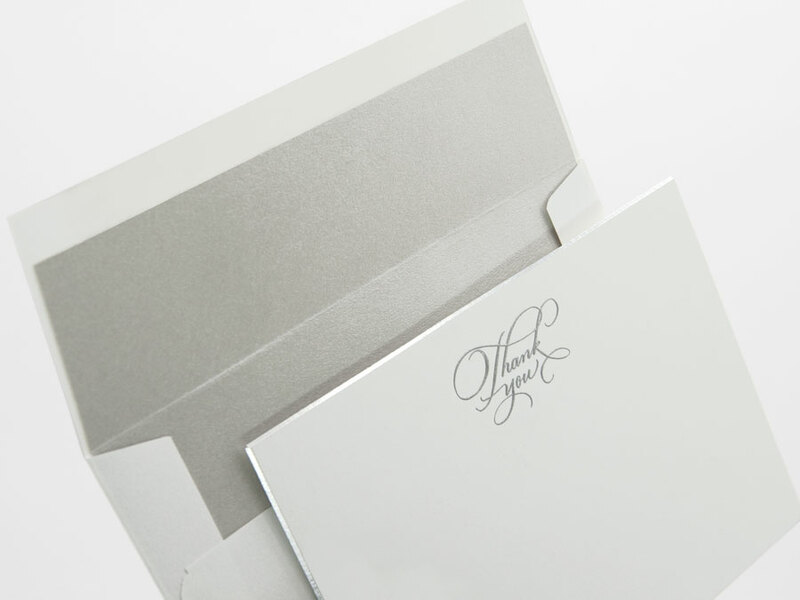 You will have the opportunity to win Custom Personalized Notecards, or a box of our Signature “Thank You” Notecards!